Half of the world’s forests have been cut to make paper from wood. Sad, don’t you think? Here’s something you can do about deforestation. Seek out an alternative—fibre sources derived from hemp, that are fresh tree-free. 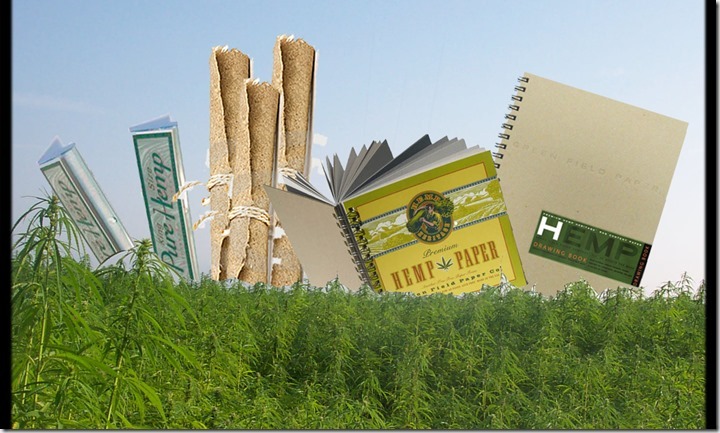 Though not widely publicized, the hemp paper market does exist. It is small, but it can grow. More public awareness and media attention on the merits of hemp for paper production is both a political and pragmatic imperative. It is a farming and processing imperative, that if acted upon on a broad scale, could drastically reduce the need for deforestation. Perhaps, in a more perfect world, old-growth cutting could be halted altogether. Fighting to save the old-growths is a battle in its own right. But back to hemp paper: The ecological footprint of producing hemp paper is smaller than wood-dependent methods employed for preparing paper. For those of us who are not drinking the prohibitionist Kool-Aid, but are focusing on being politically poised to avail ourselves of a good thing, we’ll start with finding out why hemp-enthusiast authors don’t all print their books on hemp. 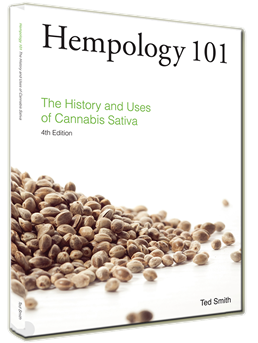 This is a question that our own Ted Smith asked from the mountaintop when he was exploring the publishing factor for his book: Hempology 101: The History and Uses of Cannabis Sativa, 4th edition. The answer came back. At this market stage in hemp’s economic development, it’s too expensive to choose publishing on hemp paper. But it’s expensive because it’s a speciality item—and it need not be. If more people were interested in publishing their books on hemp paper, generating that key economic impetus required, hemp processing plants would flourish and more would emerge. The price of hemp paper products and publishing would come down. The U.S. Declaration of Independence was drafted on hemp paper. So were bank notes, archives, and even some of the finest Bibles. Until 1883, in the United States, 75 to 90 percent of paper in circulation was hemp. The root origin of hemp paper production dates back to the Chinese Western Han Dynasty, as far back as 221-206 B.C. The standard paper-making process was invented by Cai Lun (50–121 CE). Today, China is the largest exporter of hemp paper and textiles, and the United States is the largest importer of products. One of the larger Chinese companies, Taicang Hanspaper Industry, uses crude raw hemp fibre for producing acid-free speciality paper. Australia, France, Spain, Chile, Russia and Great Britain are far behind China, but they’re stepping up in recent years, seeing the potential. Closer to home, notably here in Victoria, there’s evidence of struggling leadership on the hemp-paper retail end. 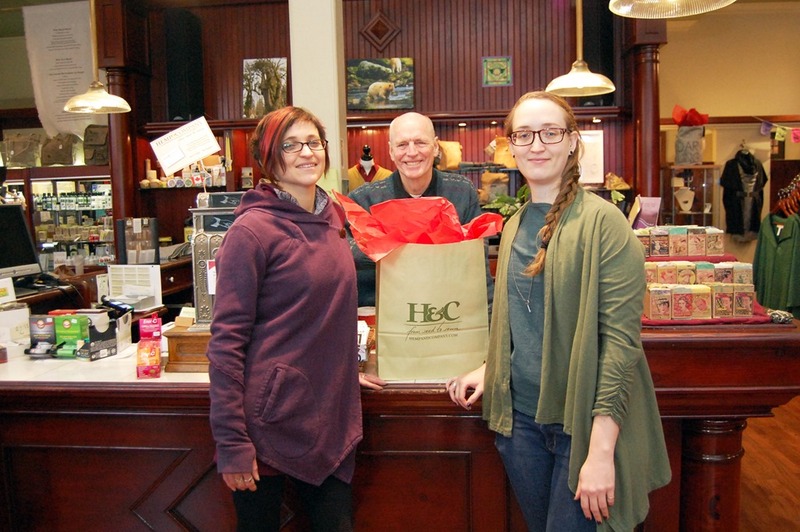 Trying to survive as a speciality store presents challenges. It’s proven difficult for some to make a living when competing with the city’s large office store chains. With the lack of awareness of the problems with non-recycled tree paper, it’s no surprise that Ecosource Paper Inc., (which used to be at 1841 Oak Bay Avenue and moved to 201-1333 Pandora Avenue) sold hemp paper but, like many speciality stores in Victoria, is longer in business. A sample offer cost $8.95 and “this package contained 50 sheets of all tree-free paper products including ECO-21 paper, ECOHEMP paper, No. 10 envelope, invitation envelopes, lined paper and info sheet” according to their website (which is still online). On a happier note, sources tell us that Ecosource Paper Inc. has some association with the U.S., and that they used hemp, flax, corn and cereal fibre there to produce tree-free paper, specifically as one of their mission aims. They were dedicated to sustainability. Also, in Victoria, we see evidence of retailers willing to make hemp paper products available on their shelves. Island Blue Print Co. Ltd. as an example sells (to this day) the Bee Paper Company Professional Series. Their six-inch-by-six-inch Aqua Bee 20-sheet notepads are neutral PH, (acid-free) tree-free paper, contain 29 percent industrial hemp and 79 percent recycled paper, and sell at $6.95. Characteristics of a hemp paper end product are worth noting. Hemp paper does not turn yellow, disintegrate, or decompose easily over time as tree paper does. Its recycle use is, seven to eight times over, while recycle use for tree paper is only three times. The plant science is fascinating. In investigations of its farming characteristics, it’s been shown repeatedly that the plants grow speedily and densely. Artificial fertilizers and herbicides can be avoided. Only average rainfall is needed for good growth, so the need for irrigation is minimal. Harvest is generally in Aug. and Sept. Large quantities of bast fibre can be produced in a single season and processed into pulp of high quality. Plants that possess woody stems, or hurds, can processed into pulp of lower quality. Long fibres of hemp are useful for preparing highly durable material such as rope, and this requires less processing. Blends of different fibres tend to make a paper that is stronger or finer (depending on preference) than, for example, paper that is made with a single fibre type. In the late 1990s, it was the businesses of The Alternative Fiber Pulp Mill and Evanescent Press, of northern Mendocino County in California, that showed cutting-edge leadership on the hemp paper front. With an objective to “produce pulp for paper from the whole stalks of hemp, flax, kenaf, and agricultural waste, using no wood products at all,” they were able to realize the potential in knowing that “the timber that is used for making paper takes more than 100 years to grow back in the same volume, whereas it takes only 100 days for hemp to grow”. “One of the major problems to consider is the best method of producing pulp from this variety of source material, since equipment designed for wood chips is not easily transferable to alternative fibres. [T]he process can made to be a closed system that integrates all of the major processes of pulp production in one unit. It recovers and recycles the chemicals used, and even delivers the removed lignins and sugars as market products rather than as part of a toxic sludge” (Source: Tree.org). In Canada, we’ve been making slow but steady strides as well. Edmonton, Alberta and St. Agathe, Manitoba, are home to the hemp industry. One can cultivate fibre hemp on as small an area as 3000 square feet. That’s not what government likes us to think. 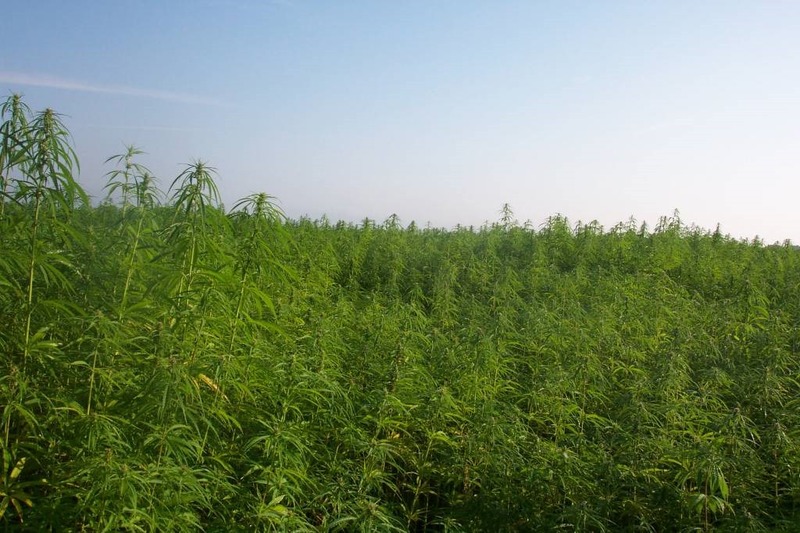 One of the myths that farmers here are trying to debunk for the media is the notion that dozens and dozens of acres are required to show any kind of leadership in promoting hemp, or to demonstrate the possibility of changing from a fresh tree-based paper product economy to a hemp-based farming economy that uses sustainable pulp processing methods and educates people on the need to focus on purchasing hemp and recycled paper only. Encouragement for the hemp paper economic development model is a pressing issue. Get involved! 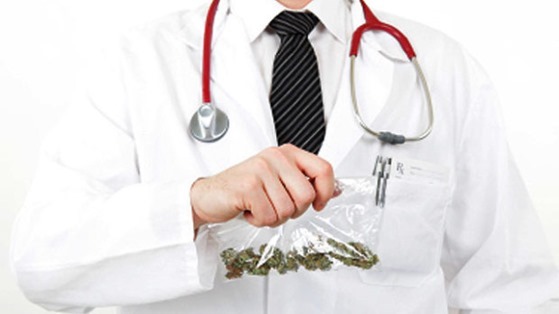 Next article What’s Up Doc?